He may be months away from turning the big 4-0. 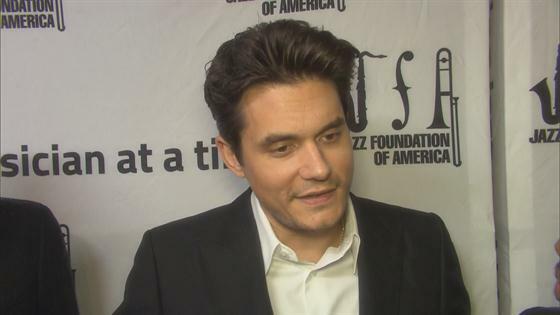 But instead of fearing his upcoming milestone, John Mayer is completely content with the life around him. In a personal new interview with GQ Style, the Grammy winner is more than happy to talk about fashion and accessories. At the same time, he's the first to admit he feels pretty fulfilled with the life around him. "The reason I'm so happy now is because a lot of expectation that I had for myself was probably a little bit unnecessary. I have a perfect image of ambition and reward for my life right now," John explained to the publication. "I know what to expect, I know how much I should be asking for when I knock on the door, and I get it. I really write down on a piece of paper what I want out of life and what I want out of work and what I want out of 'fame'—and I have all the stuff I want." He added, "And, yeah, I would probably like another 10, 15, 20 percent, but that comes with another 85 percent of headache. That's the truth. It would take another 85 percent of my happiness to get another 15 percent to 20 percent famous and, like, culturally relevant or whatever. You know?" When the reporter followed up and asked if the man behind huge hits like "Daughters," "Your Body Is A Wonderland" and "Gravity" is drawing back from fame, John agreed. "There's nothing in my life that doesn't feel good. I'm not being pushed into battle, I'm leading the charge. Because I understand what my vision is—and yes, I believe we can still use the word vision," John explained before describing his new music. "I'm like, John, you made a record full of ballads and R&B songs that nobody knows how to promote because you're not an R&B artist. So I think 'Still Feel Like Your Man' is an ace level song and recording. I will stand up for that song any day of the week as one of the most pure-sounding, most interesting—it's an R&B little tiny masterpiece, and I've worked long enough and hard enough with incredibly, insanely talented people to be able to say that." As John continues to travel the country for The Search For Everything world tour, the performer is determined to deliver an unforgettable show for his audience. In fact, he may just be receiving a little inspiration from the one and only Drake. "I wanted to have a really big show," John told the Associated Press "I want to be competitive. I want to be in the world where people are creating bigger and better shows. I think there's a healthy competition involved in it. I went and saw Drake's show...you see something that wows you and as an artist yourself you go, 'I want a little of that.'"